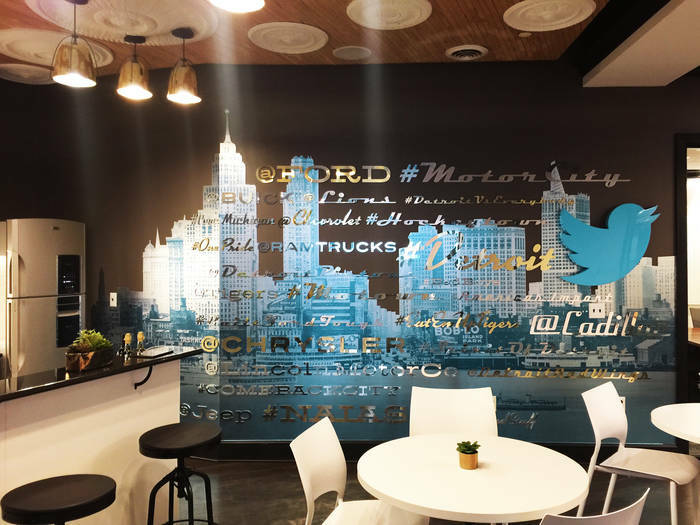 This urban office in the heart of downtown Detroit is the new home for Twitter. 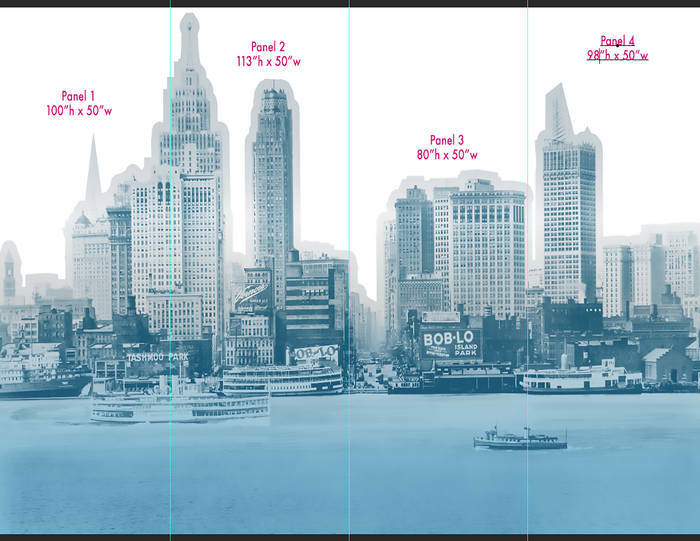 The wall mural is an historical photograph of the City’s waterfront from the early 1900’s. 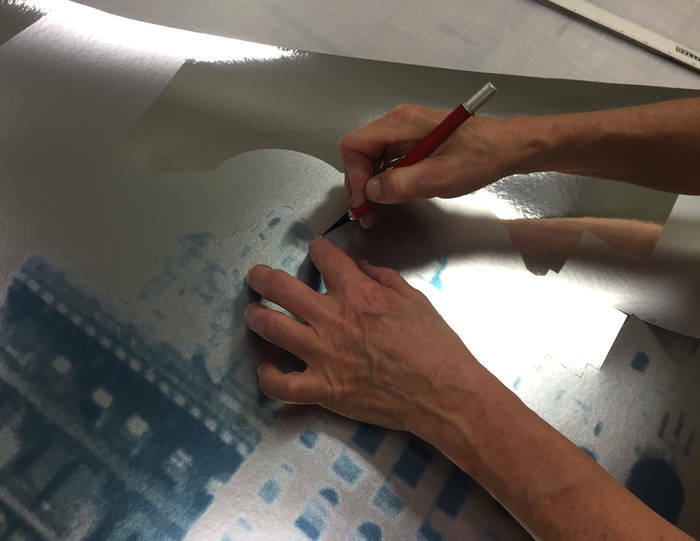 Printed in blue sepia over the silver meticallic hand trimmed wallcovering added a feel of old world charm to the trendy décor. 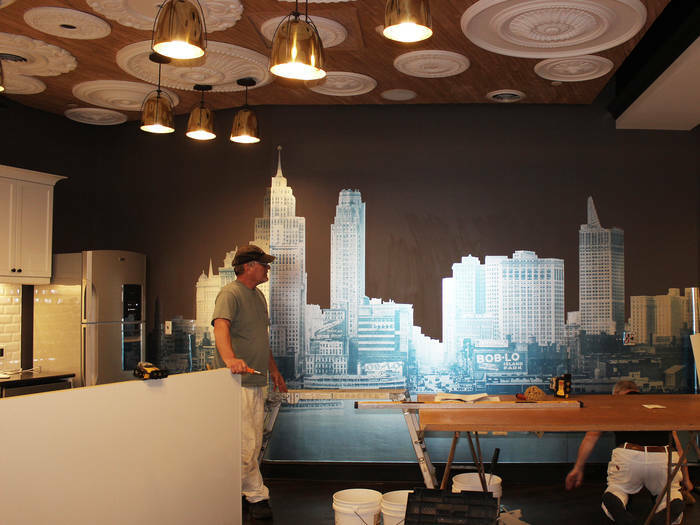 The finished mural with garnished with everything Detroit.